Bvlgari Petits Et Mamans is classified as aromatic-floral, is the first fragrance created for children, to the greatest delight of mothers and mothers-to-be. To compose Petits et Mamans, Bvlgari choses gentle ingridients in order not to harm children’s skin. It was created in 1997. The nose behind this fragrance is Nathalie Lorson. Tea is the main ingredient in this fragrance. but also in the form of nice, hot cup of relaxing tea which soothes the rough edges of a tired mind and soul. The fresh, citrusy beginning is followed by the unusual floral heart composed of chamomile, sunflower and rose. Natural peach, vanilla and iris extracts make for a pure and tender childlike moment. 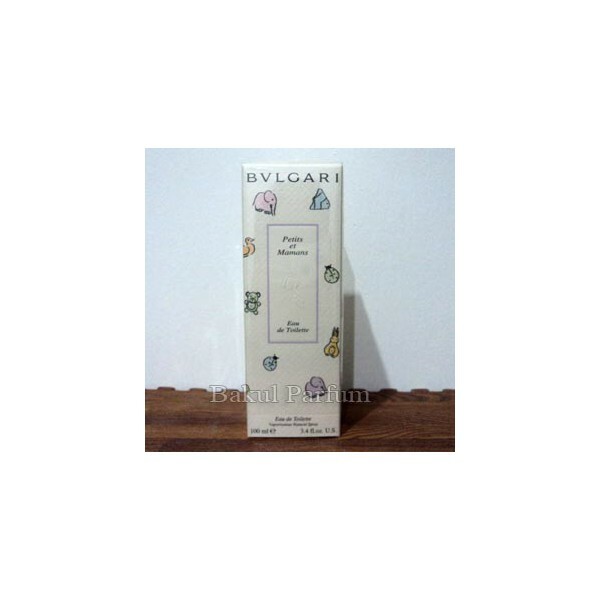 Beli parfum Bvlgari Petits Et Mamans sekarang, harga termurah di Indonesia!! Nikmati promo dan penawaran eklusif parfum Bvlgari hanya di bakul parfum.